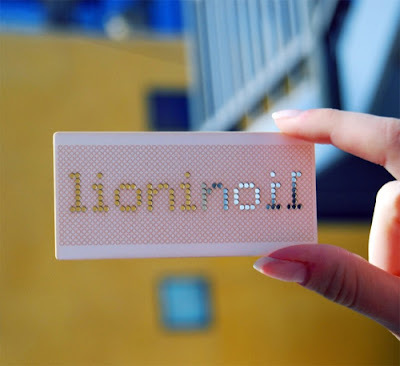 SVA Dot Dot Dot Lectures: Jason Santa Maria from MFA Interaction Design on Vimeo. Jason Santa Maria is a talented designer working out of Brooklyn, NY in web and print. 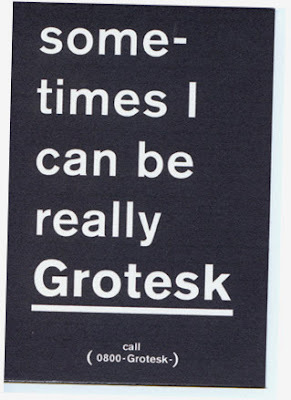 Jason has worked on such great projects at the redesign for AIGA and the Objectified sites. 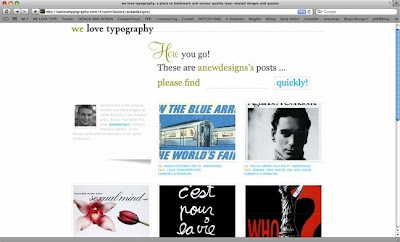 He currently is creative director at the A List Apart website which deals with all things web design. His work is always well organized and the video will give you a much better understanding of working with this medium we call the web. 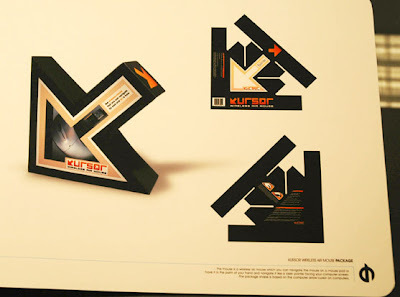 Jason's work is an inspiration on how the future can be when you introduce great typography to the web. Make sure you check out Jason's great photographs on his daily photo section. Jason's site includes many great articles, examples of his work and background at jasonsantamaria.com. Writing paper with dark supporting lines has been around since medieval times when iron gall ink was used for its lasting dark colour. 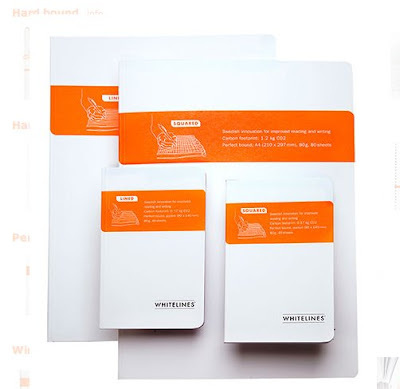 It took until our recent time before the idea of making a writing paper with white, “non-conflict”, lines got known from an idea of the designer Olof Hansson. Writing paper with white lines is now a patented solution. 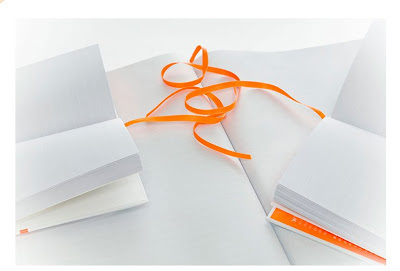 "The idea for Whitelines® came to me when I was copying a sketch of another product, Sinko. I was irritated because the lines on the copy made a mess of my sketch. It was then that the idea of having white lines hit me. White lines would not be visable on a photocopy, but the dark lines that I had written would. It is a pleasure for me to be able to offer these lines to you. 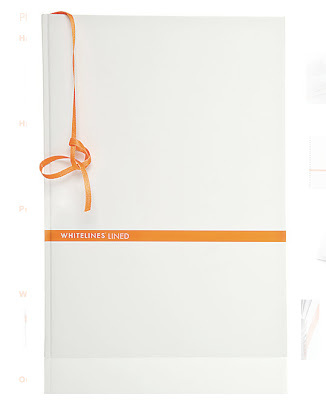 I hope that Whitelines® is successfull in supporting your ideas." Enjoy this video made by the AIGA - Philadelphia Chapter from a visit by Michael Bierut discussing design's status in the world. 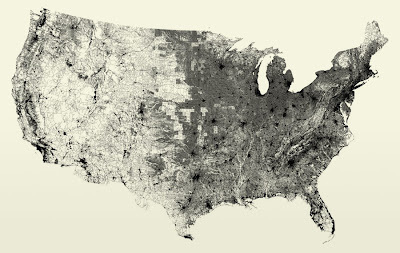 Draw 26 million streets in the lower 48 United States, just the streets and you will get a map of the states. 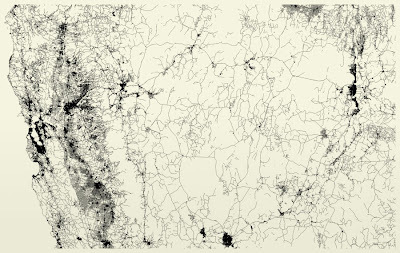 It is an amazing project by Ben Fry called ALL STREETS. Ben drew just the streets, no other features and the map evolved. 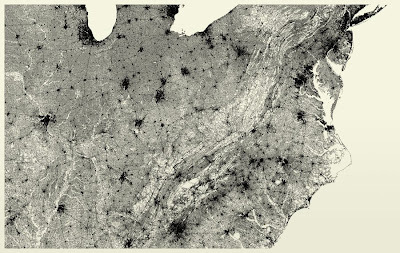 What is amazing is you can see geographical features because of how the roads are made through the features. To view the project visit this link. 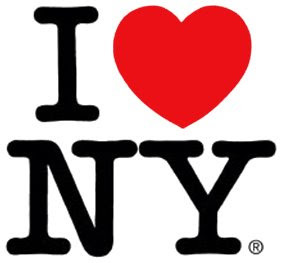 Happy 80th Birthday Milton Glaser! 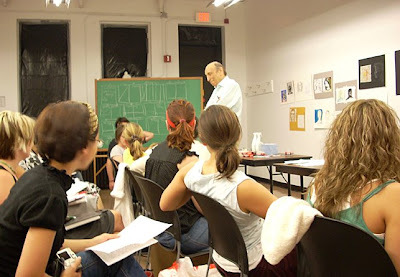 I had the pleasure to learn from him two years ago at a summer course given at SVA. 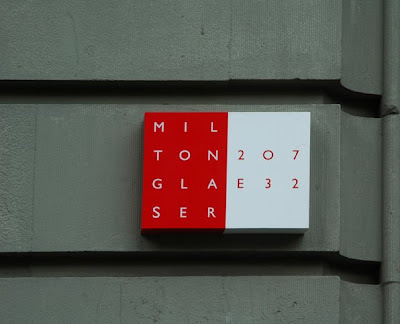 I found Milton to be the ultimate teacher, designer, illustrator and a true inspiration. I take the wisdom and passion that I have learned from Milton and use it daily. A few times in the course of life we find someone who inspires us along, who challenges us to reach for greater heights, Milton is one of those leaders. 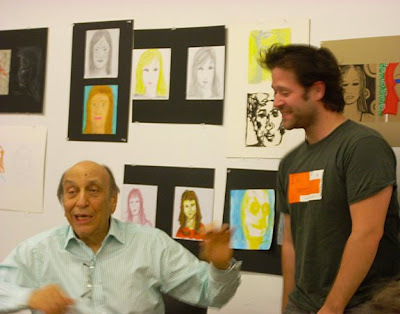 When you meet Milton you learn about his love for art, design and life. He is a great thinker and philosopher, a man full of vigor and zest. 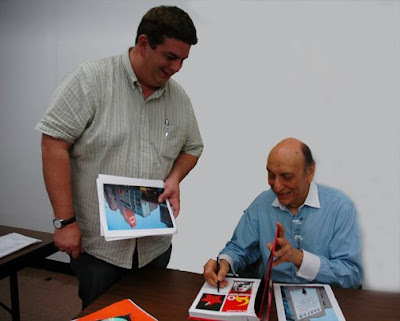 I thank Milton for all that he has done to help the design community, for passing along his wisdom about art and life, for his passion and caring and most of all for the beautiful work he has created over these years. Happy Birthday Milton! 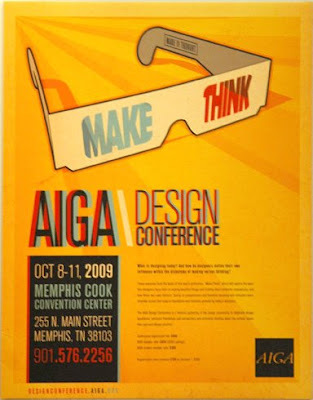 To view more and learn more go to MiltonGlaser.com. 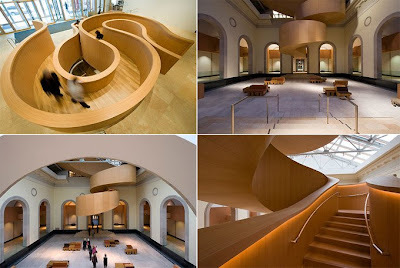 This is a beautiful interior created by Frank Gehry for the Art Gallery of Ontario. 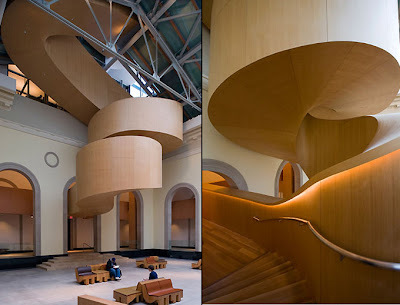 Gehry was inspired by Alvar Aalto, the father of Scandinavian modernism, for this design. 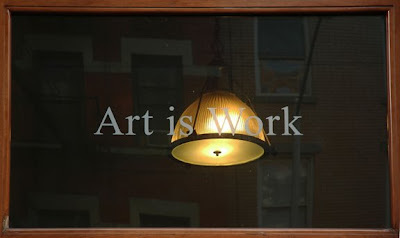 The space created is visually interesting, stimulating, natural, and mysterious. 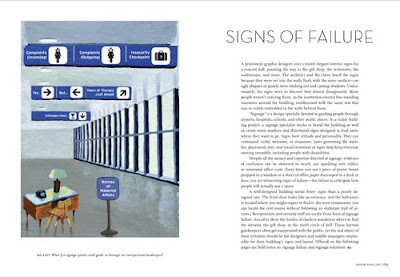 Pentagram just released number 39 in the Papers series, SIGNS. It focuses on the plight of the many homeless we have in our country. SIGNS was designed by DJ Stout from the Austin office. 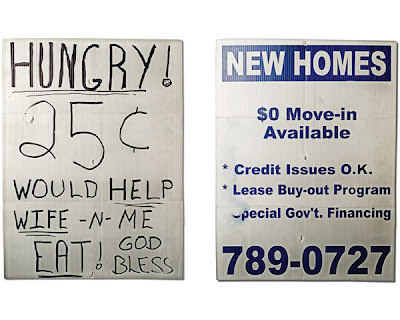 These signs used by the homeless is described by Pentagram as follows. 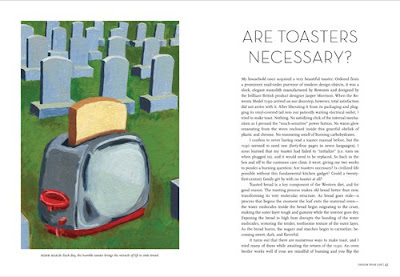 "These naked forms of self-expression have unintentionally become some of the most basic, raw and compelling examples of graphic communication in our society today." 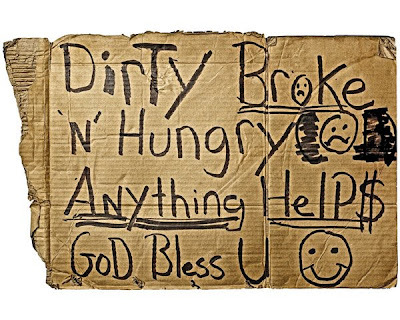 These signs show the struggles that life presents, reminds us all of how close we all are at times to that struggle, and our societies need to eliminate this struggle. The homeless situation in America has numerous causes from pure economic to addiction to physical and mental health issues. 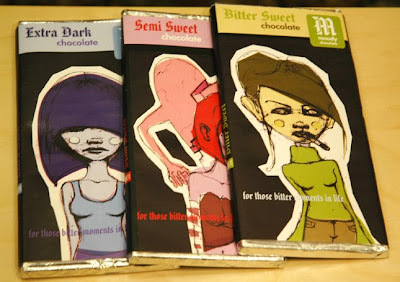 I am glad that a design agency with such influence has the courage to help raise awareness of these issues. Our Austin office recently launched the publication of SIGNS with a benefit that raised $5000 to help feed the homeless. We hope that you find Ely’s essay and the photographs of O’Brien and Ford as moving as we do and we encourage you to join us in supporting one of the charities listed here or a local one of your choice. 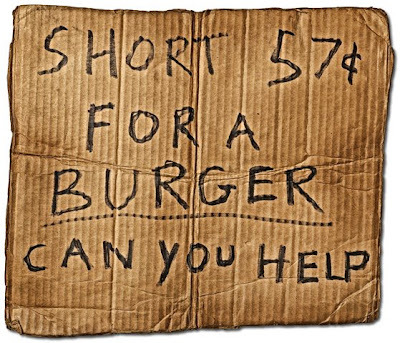 Let us hope that much more is raised not only in the case of dollars but also in the awareness and solutions for the homeless situations. To view the digital version of Pentagram Papers 39 please visit the site that was set up at this link. 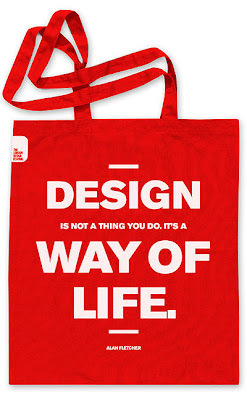 A recent design by Pentagram for a design exhibit in London. 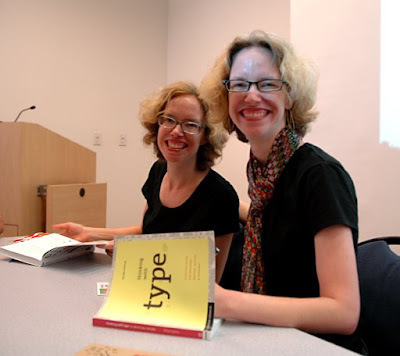 Yesterday afternoon, I had the pleasure to meet and hear fellow Baltimoreans Ellen Lupton (on right) and her twin sister Julia Lupton (on left) as they presented their newest book, Design Your Life. They spoke on the campus of UCI to an intimate gathering for an hour, co-presenting their book. The talk was entertaining and insightful. They discussed chapters from Design Your Life on such subjects as toasters, bras, office organization, front porches, and flowers. 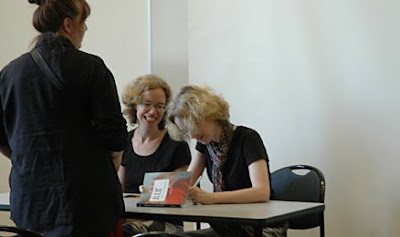 After the talk, the Lupton sisters signed books and mixed with the crowd. I found Ellen and Julia to be both delightful and authentic. It was nice to meet such happy people, two who enjoy not only their company but those around them. It was a great gathering and I thank the Lupton sisters for sharing with us. 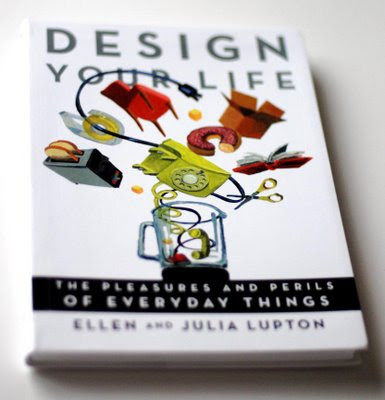 I started reading Design Your Life last night and have been savoring each section. Yesterday afternoon was the conclusion to many years of long studies for many graphic design and advertising students at the Art Institute of California - Orange County. 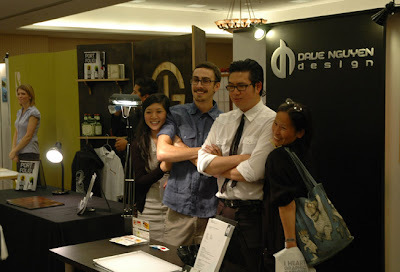 The Spring 2009 Portfolio Show was a showcase of the student's portfolios. 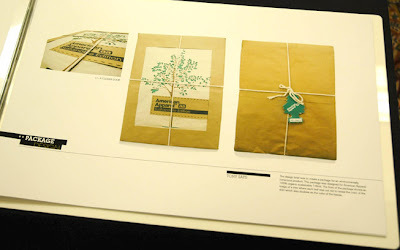 I thank the recent grads for the time we spend together in packaging and portfolio classes. I wish them all the best in a long and creative design career. I hope to hear good things from them in the future as they progress with passion and creative desire. 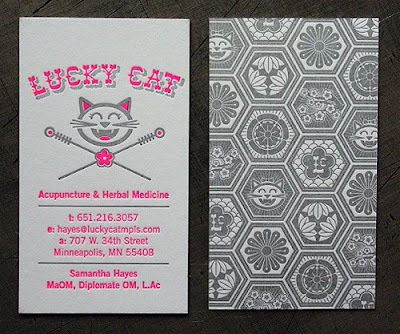 Looking for inspiration on your next business card design? You should check out this great resource at a site called Card Observer. The collection and variety are extensive and easy to navigate. Add the Card Observer to your list of links to review on a regular basis. 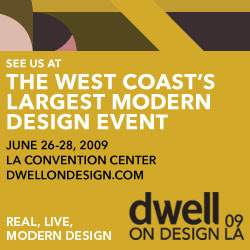 The Dwell on Design conference is coming to Los Angeles this June 26-28, 2009. The range of exhibits and speakers seems to be growing this year including Yves Behar, Founder and Principal of fuseproject. Love to hear Yves speak. (Dwell are you giving out passes for this?) 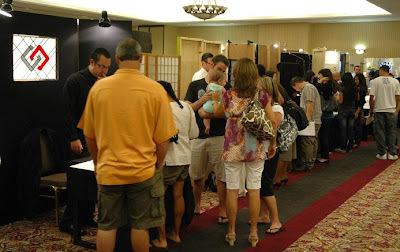 The exhibits section is free to those in the trade so sign up for your pass. 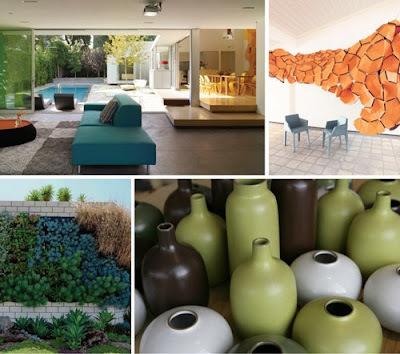 To review the weekends events and happening check out the Dwell on Design site. 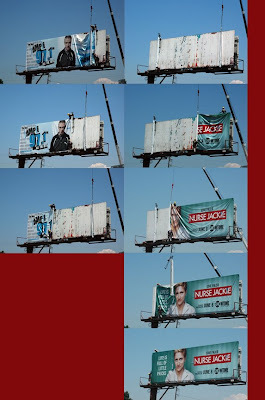 I observed this quick change of a local billboard from Justin Timberlake to Edie Falco as Nurse Jackie the other day. I was amazed out how this all happened in around 15 minutes from start to finish. The old billboard is rolled up and the new one rolled out. It got me wondering what happens to the old billboard, is it reused in any fashion? Let me know if you have the take on what happens once you get rolled up. If you have ever visited London, in the fabulous red phone booths you will find "tart cards" for life's pleasures. 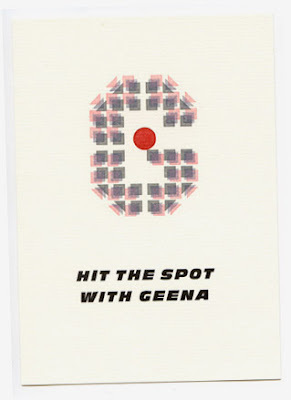 These tart cards that advertises sexual services fill the phone booths sometimes where it is hard to find the phone. 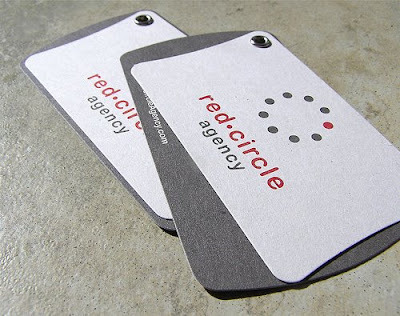 In a project to designers, they where asked to design their favorite type into a "type tart card". The project is on display in London now and here is a link to what they came up with from Wallpaper magazine. 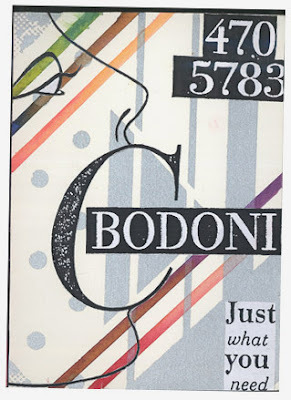 You will find the tart cards full of double entendres and ambiguity. 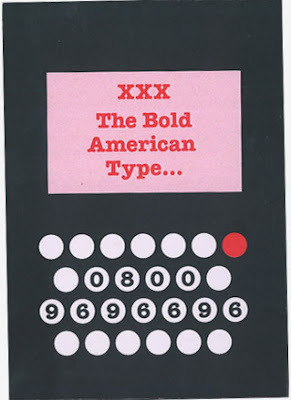 Type can be a turn on for us design geeks. 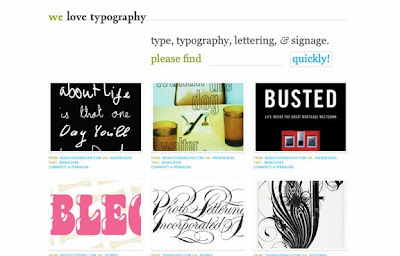 If you have not checked out the new We Love Typography site what are you waiting for? WLT has been working to show the best type and grows everyday with exciting examples of from today and the past. There are more than 4000 examples to view and search. Each examples links back to the original source so you can learn and see more, you can search by colors or keywords or use the innovative "easy view" to quickly see what is new. I have been assisting on the growth of WLT as a contributor and have loved every moment. My thanks to John, of I Love Typography fame, for the vision and pulling this great site together. 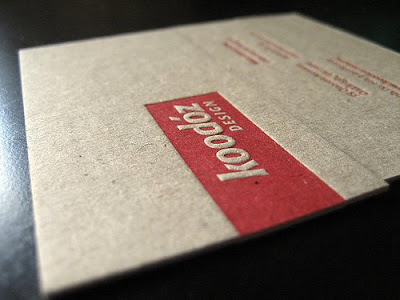 Now go look at great typography, be inspired and keep the passion. 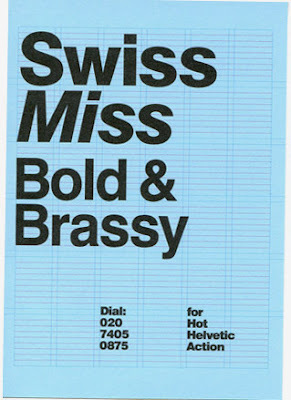 We Love Typography Rocks! Your winning are on the way. 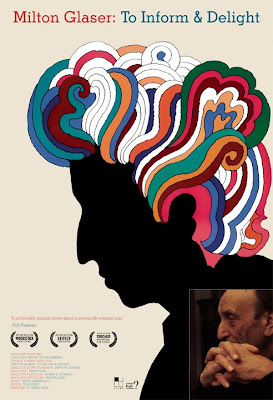 Thank you to the staff from the new film Milton Glaser: To Inform and Delight for the prizes. Thanks for all that entered and I hope you are able to catch the film soon. I heard a student today say he thought that David Carson had died. I assured him David Carson is alive and well. His website could use an update in the news section but all is good. I believe he miss heard about David Carradine dying yesterday, June 3, 2009 in Bangkok, Thailand while on location for a film. 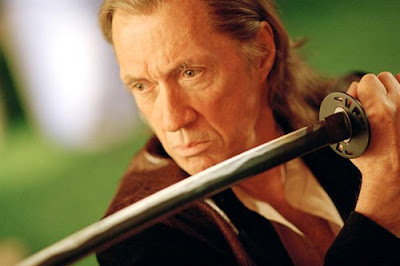 Carradine worked on over 200 filims during his career and will be missed as the master of all things kung fu. May our thoughts go out to his family and friends. 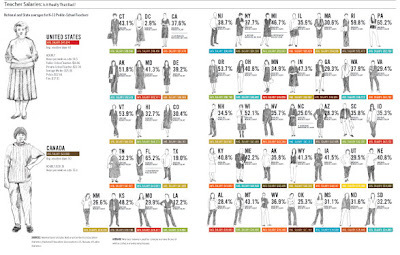 The good folks over at Good Magazine have posted good information graphics on flickr.com. 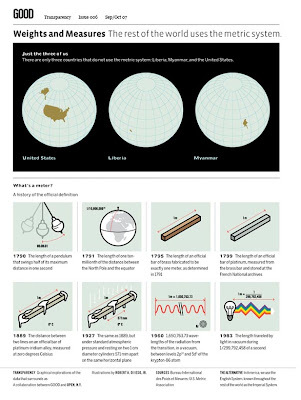 You can look through tons of good informational design from their Transparencies Archive, all with good links back to the article at Good Magazine to view the large and good image. 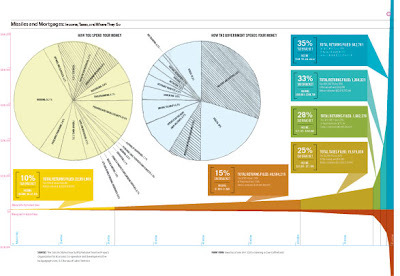 Have a good time looking at these wonderful examples of good design and good informational graphics. Check out the goods at Good Magazine, it is good stuff. Oh, and have a good day.